Home / Stock Picks / Stocks to Buy / Will Increased Competition in China Affect Starbucks Stock? Some heavy hitters are opening many coffee shops in China. Should the owners of SBUX stock be worried? Starbucks (NASDAQ:SBUX) is facing increased competition in its extremely important Chinese market. That’s got owners of Starbucks stock worried. But the owners of Starbucks stock shouldn’t be worried because the increased competition suggests that the Chinese coffee market is becoming healthier. It is so hot at the moment that the chairman of Luckin Coffee, which only launched in October 2017, has reportedly demanded a $200 million loan from investment banks interested in getting a seat at the table if and when the company goes public. Expected to have 4,500 locations open across China by the end of 2019, Luckin Chairman Lu Zhengyao is severely testing the patience of investment banks. Luckin began working on its IPO in late January. By the end of February, it had hired Credit Suisse (NYSE:CS) as one of the banks to take it public; Goldman Sachs (NYSE:GS) and Morgan Stanley (NYSE:MS) are both advising Luckin, but have yet to be granted a formal role, making them susceptible to the $200 million shakedown. Based in Beijing, the homegrown brand has opened 2,000 locations over the past 18 months in 22 Chinese cities. It plans to open another 2,500 in 2019, bringing the total number of cities where it has locations to 40 and making it the largest coffee chain nationwide in terms of stores open and the number of cups of coffee served. By comparison, SBUX has 3,600 stores in more than 150 cities, is increasing the number of stores it opens by almost 20% a quarter, and generally has locations that are significantly bigger than Luckin’s stores. Luckin’s business has little to do with the customer experience and everything to do with low prices, discounting through two-for-one offers, and speedy delivery and takeout. For example, a coffee costs $3 at Luckin, 50 cents cheaper than at Starbucks. Take that to the next level with a two-for-one deal, and the price for a cup of joe drops to $1.50. It’s the dollar store of coffee. Luckin is looking to go public with a valuation around $3 billion, putting it on par with Starbucks stock, despite losing $120 million in 2018. It plans to list on the NYSE, in part because the Hong Kong Stock Exchange requires companies that list on it to have three years of operating history. SBUX is well-aware of the competition in the Chinese market. Iconic Canadian coffee brand Tim Hortons, owned by Restaurant Brands International (NYSE:QSR), which also owns Burger King and Popeyes, opened its first store in China at the end of February. Hortons has big plans for China. In 2019, it will open 10-20 stores in Shanghai, hoping to become the preferred brand for consumers looking for more than just coffee from their visit. It’s not going to be easy, since Costa Coffee, and Dunkin’ Brands (NASDAQ:DNKN) also are competing for customers in a country in which just 33% of the population bought a cup of coffee in 2017. “Tim Hortons will need to offer not just something unique that Chinese consumers can’t find at other chains, but also spend heavily on marketing to build awareness of the brand,” said Jason Yu, Shanghai-based general manager of Kantar Worldpanel in Greater China. Starbucks has been in China since 1999. It’s earned the right to call itself the country’s preferred coffee destination. Over the long-term, SBUX believes it will have more stores in China than it does in the U.S., where it has more than 14,000 stores. Good businesses don’t fear competition; they embrace it. As coffee becomes more accepted in China, there is going to be room for many competitors, including Luckin. The owners of Starbucks stock ought to happy about the increased competition. It’s a sign the coffee market is maturing and expanding in China, which ultimately should significantly boost the company’s overall profits. lifting Starbucks stock. Starbucks stock, in my opinion, remains a buy. 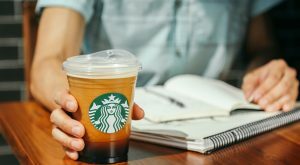 Article printed from InvestorPlace Media, https://investorplace.com/2019/03/will-increased-competition-in-china-affect-starbucks-stock/.